Stromovka is Prague’s largest park (in the centre). There, you can find a small “kiosk” which is open all year round, and where you can buy drinks and snacks. In summer time, a great number of tables are put outside, and you’ll be able to enjoy your beer, grilled food from the barbecue and music as concerts are held on an occasional basis. You’ll also find in Stromovka a restaurant called Vozovna Stromovka where you can get proper meals. You’ll often see families gathering around as the restaurant is located right next to the playground. Letna is certainly the most famous park in Prague, namely thanks to its beer garden and the fantastic view of the city that you can enjoy from there. When in the beer garden, you’ll find plenty of tables where to sit, but in summer make sure you’re there early enough to have a spot to sit – let’s say by 7-8PM. For those who’d like something a bit more upmarket, you can a meal and drinks in the nearby restaurant called Letensky Zamecek. The outdoor area is slightly more informal than the indoor part. Riegrovy Sady and Havlickovy Sady are two smaller parks but still quite busy as they are near Vinohrady district, where a lot of expats and students live. It’s a very lively district with a great number of restaurants, bars and clubs. if your hotel or apartment is located in the centre, you’ll need to catch the metro to get there, even though you’d probably be better off just going to Letna! And finally, Petrin is another nice park : it is a hill located behind Prague’s castle. It will be a perfect place to go if you’d like to enjoy a nice walk on Sunday after a busy day of visits, especially if you’re staying in Mala Strana district. 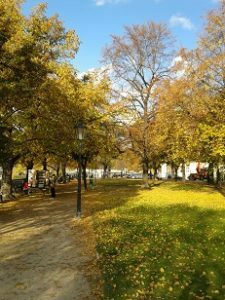 This entry was posted in Bars, pubs, Events, SIGHTSEEING, CULTURE, Touristic sites, Uncategorized and tagged beer garden, centre, havlickovy sady, letna, park, petrin, prague, riegrovy sady, stromovka, view on October 31, 2013 by Nicolas. 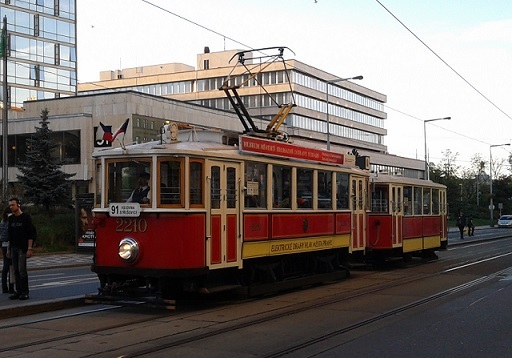 What to do in only one day in Prague? If you get in by the main entrance (Hradcanske namesti) you’ll pass through the castle’s main gate, “Matthias gate”. There, the changing of the guard takes place every hour. Then, get to the 2nd courtyard and you’ll get to St Vitus Cathedral through a small passage. Unfortunately, you’ll have to get a ticket to see the inside of the cathedral (used to be free for a part of it…). Walk down through the 3rd courtyard to the Golden Lane, a very small street, Kafka used to stay in one of these small houses. Now, it’s mainly souvenir shops and tourists… but still, worth having a look. Walk down the castle to Malostranske namesti, so as to get to Charles bridge (Karluv Most), more than 600 years old ! There are 30 statues on the balustrade, on each side of the bridge. In summer, you can climb up into the old bridge towers and enjoy the view (an adult ticket should be approximately 2 EUR). Cross the bridge and walk to the Old Town Square (Staromestské namesti), where you’ll see the famous astronomical clock. Every hour, you’ll see tons of tourists waiting for the hourly show (puppets going out). If you stay there to watch it, beware of the pickpockets! There are not that many but better be cautious. This entry was posted in Touristic sites and tagged castle, cathedral, Charles bridge, kafka, old town, pickpocket, prague, st vitus on February 13, 2010 by Nicolas.